One Source Medical Billing is a provider of comprehensive medical billing solutions aimed at increasing revenue and facilitating collections. Want to maximize your revenue, reduce your expenses, increase your collections, and improve the efficiency of your medical practice? We can help ! Our team of experts will help increase your efficiency by taking control of complicated billing matters, and using our unmatched technology platform will help improve your revenue. One Source Medical Billing's innovative technology platform combined with proven experience has dramatically helped medical practices succeed. 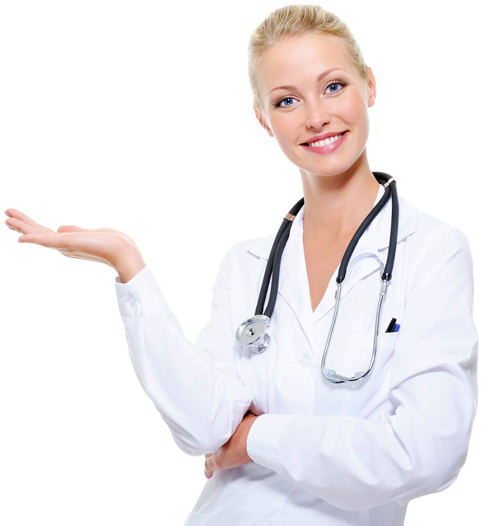 One Source Medical Billing provides more than just medical billing services. We help doctors automate their manually handled tasks. We offer a complete array of document management services to digitize and convert all your patient information, paper records and insurance documentation into comprehensive electronic medical records. Free your staff from labor-intensive tasks and save their time so they can focus on providing quality patient care. We are your partner and our primary goal is to save you time, money and increase your cash flow! One Source Medical Billing is a pioneering name amongst medical billing companies and serves as a one-stop solution for all medical billing requirements including coding, claims management, claims denials and collections. Comprehensive assistance and support in medical billing and reimbursement is our primary focus. We ensure that providers are paid in full for services rendered and medical office revenue cycles are hassle-free. Our expert team of coders efficiently assess clinical documentation and assign appropriate CPT/HCPCS billing codes and modifiers that support selected ICD-10-CM diagnosis codes. Furthermore, our billing team assures all claims for reimbursement of services provided by medical providers are submitted to the relevant insurance company immediately and aggressively followed-up until full payments are rendered. Every one of our clients, whether a small independent healthcare provider or large healthcare organization, is afforded the same high level of importance and receives the same level of dedicated industry leading services. Our expert staff will take care of your complete operation including fast submissions, claims management, appeals, payment clearance, constant reporting and most importantly – Continuous follow-up. This level of consistent staff support will result in receiving reimbursement up to 30% faster. Revenue Cycle Management (RCM) is the process that manages claims processing, payment and revenue generation. Our RCM team manages the whole claims cycle including claims creations, claims processing and payment and revenue generation. The revenue cycle begins at appointment booking and ensuring insurance eligibility has been confirmed prior to patient arrival for their visit. This continues through clinical documentation, verifying that a visit note is coded correctly for services rendered by a provider. Finally, the claims creation, submission and management process ensures that reimbursement for claims is readily received, minimizing cost for resubmission due to claims denials. One Source Medical Billing supports providers to minimize and eliminate the challenges associated with medical coding to ensure allowable reimbursement for services rendered including. We aid in the selection specific ICD-10 diagnosis codes as well as appropriate CPT/HCPCS billing codes to maximize payment from insurance companies. With years of medical billing experience and the utilization of the latest billing technology, One Source Medical Billing possesses the expertise to manage your complete billing operations efficiently and effectively whether you are a solo single-specialty practice or a large multi-specialty, multi-facility healthcare organization. Insurance verification is essential in maximizing first-pass claims approval rate and eliminating any chances of claims denials and payment delays. Our team meticulously carries out the insurance verification process for patients prior to appointment arrival, ensuring that at the point of care, medical providers are privy to what services are covered and what services can be rendered. change from one practice to another, adding a new Physician to an existing group, or want to become enrolled with a new payer. One Source Medical Billing indexing services include Electronic Medical Record Storage, Healthcare Document Management and indexing medical records such as Insurance Information, Health Insurance ID card, Patient’s demographic sheet and EOBs. Once the documents are scanned and available as images, our team can perform the medical records indexing to your electronic health record (EHR) or Document Management system (DMS) or the Practice management software (PMS). Please keep yourself up to date with the latest news bulletins in the medical billing field, from this section. Please share your suggestions and comments with us. © 2016 One Source Medical Billing, LLC. All Rights Reserved.